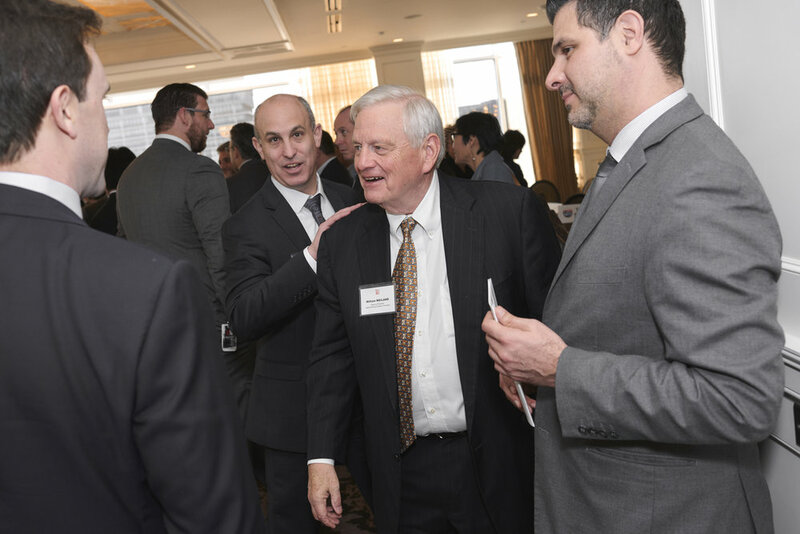 At the 4th Annual Japan Update Houston Conference held on January 25, 2019, the Japan-America Society of Houston (JASH) took time to honor outgoing president William H. Weiland. Mr. Weiland is a Houston lawyer who throughout his career has worked extensively on matters involving private and public international law issues. After completing military service, he worked for many years in one large and two smaller law firms. He managed, in the mid-1990s, the Mexico City office of Vinson Elkins L.L.P. He now practices on his own. Mr. Weiland has served on the JASH Board of Directors at various periods over the past 30 years. In the late 1980s and early 1990s, Mr. Weiland, working with fellow JASH Board Member Joe Hafner, the President of Riviana Foods, and then Japanese Consul General Yasuo Hori, devoted substantial personal time and effort to the development and construction of the Japanese Garden in Hermann Park. In 2013, Mr. Weiland was asked to take on the role of Vice-President of JASH and soon thereafter moved into the role of President. Because of Mr. Weiland’s dedication and leadership, the Japan-America Society of Houston is well positioned to continue to perform its core mission of uniting Houston’s diverse community, local businesses, and individuals to advance the mutual interest of, and the strong bonds between, the people of Japan and the United States. 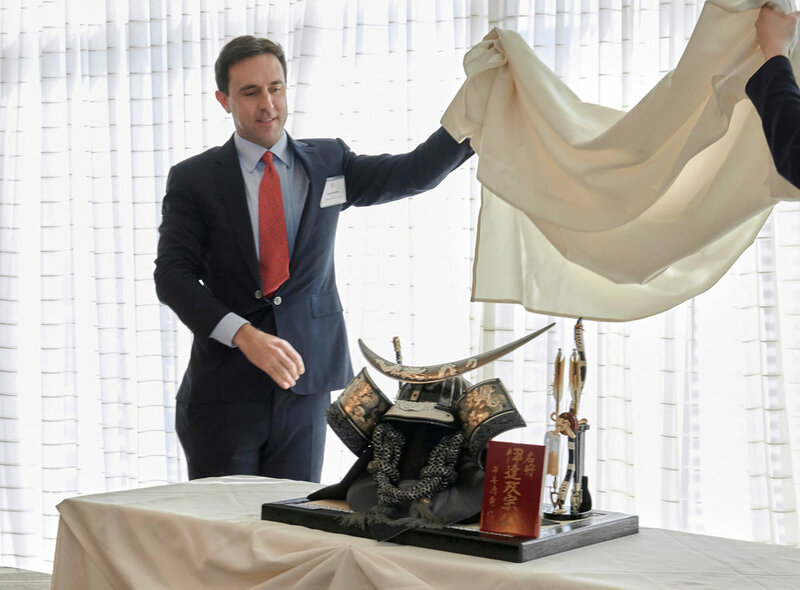 Mr. Weiland has led our organization with both honor and distinction, and as a token of our gratitude, it is JASH’s great pleasure to present him with a samurai helmet, known in Japanese as a kabuto. Kabutos were designed to celebrate the ability of their owners and were viewed as symbols of honor, valor and loyalty. The importance of the kabuto on the battlefield also led to the kabuto’s appearance in a number of Japanese proverbs and expressions. "After victory, tighten the strings of your kabuto." The pithy saying is a reminder that one should not lessen their efforts after succeeding (or more simply "not to rest on one's laurels"). This is very appropriate for Mr. Weiland because no matter what he or the organization accomplished during any year of his tenure as President, Mr. Weiland never rested on his laurels nor did he allow JASH to do so either. Today, we continue to “tighten our strings” in honor of Mr. Weiland. Thank you, Mr. Weiland, for your dedicated leadership of JASH.